Beinn Dearg is just one metre short of a Munro and is the highest of the Corbetts. 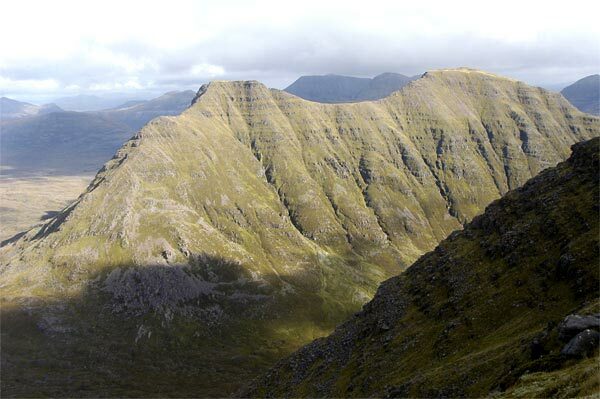 From Beinn Dearg a summit a ridge runs NNW to Stuc Loch na Cabhaig which lies across the Bealach a' Chomhla from Na Rathanan, The Horns of Alligin. A much longer ridge runs E over an un-named top to Carn na Feola (761m). The E ridge has two spurs on its N face producing two corries. 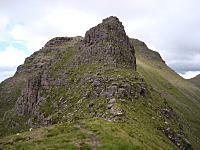 This is a steep sided mountain with some very craggy slopes. 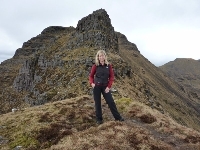 Perhaps the most appealling feature of Beinn Dearg is its location, giving superb views of Beinn Alligin (Munro), Liathach (Munro) and Beinn Eighe (Munro). Beinn Dearg from the Horns of Alligin. 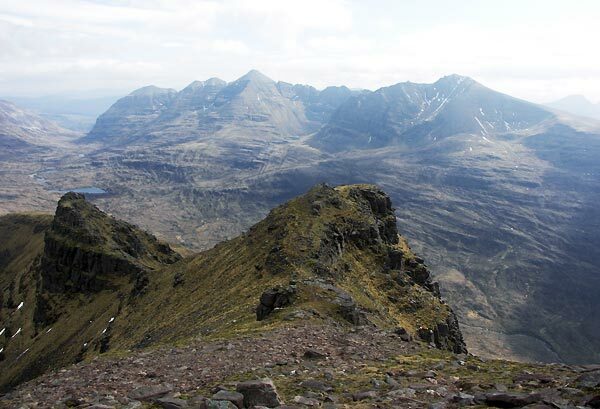 Looking west along the Beinn Dearg ridge towards a tower which gives some good scrambling. The summit is behind this tower. July 2009. 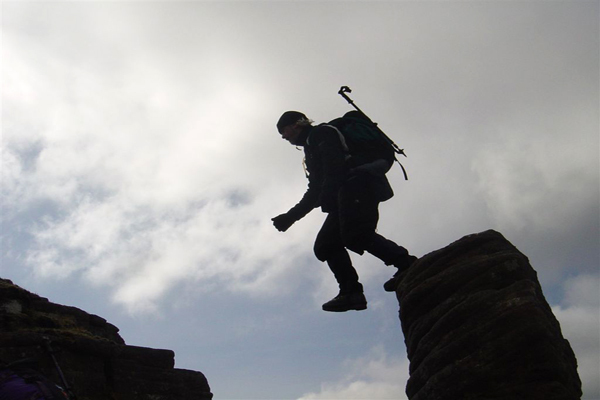 The summary information of one or more ascent routes that include Beinn Dearg [Torridon]. 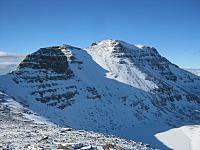 Post a few words about Beinn Dearg [Torridon] or read what others have had to say. climbed BEINN DEARG 7/4/07. well worthy of munro status. mega views all round.